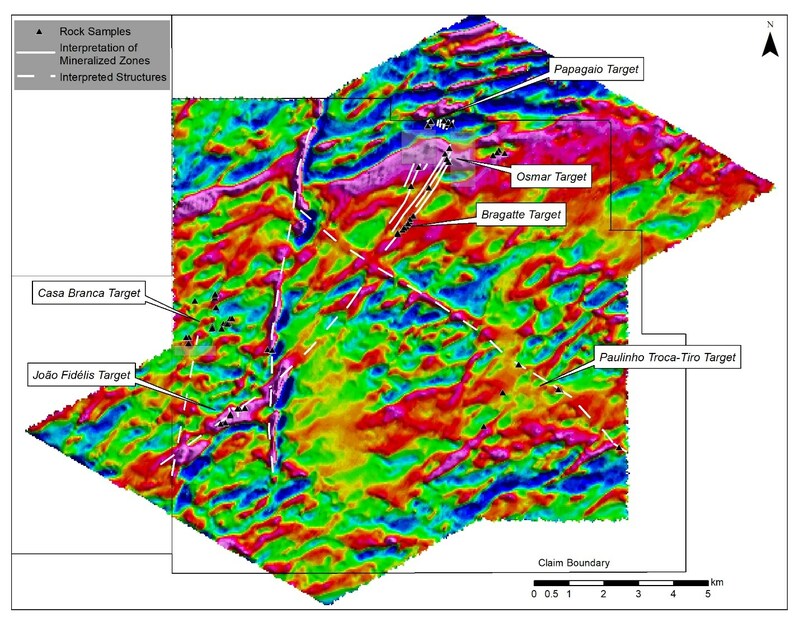 Recent surface sampling by Altamira returned gold values ranging from 9.0 to 46.1 g/t gold from 9 grab samples of a total of 17 samples from the Paulinho Troca-Tiro target. Papagaio - located in NE corner of claim block - series of narrow NNE trending quartz veins within an altered dacite intrusive extending over at least 1sq.km. Of 15 surface grab samples collected by Altamira, 12 returned values ranging from 14.3 to 118.7g/t gold. Osmar - located 1km south of Papagaio. Several NE trending veins have been mapped on surface. Of 17 surface grab samples collected, 3 returned values of 12.4 - 50.8 g/t gold. Bragatte - well defined NE trending structure 3-4m in width which has been traced so far for 900m on surface. 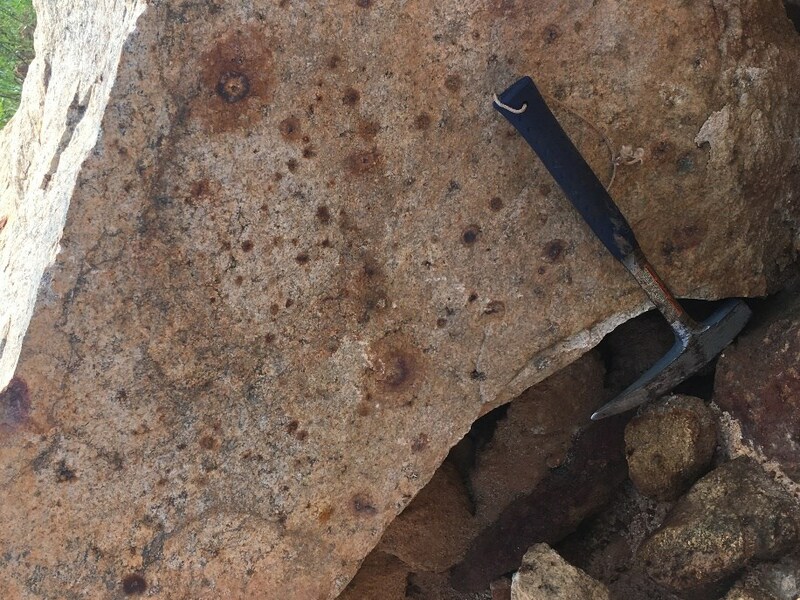 Of 26 surface grab samples collected, 5 returned values ranging from 10.0 to 71.0 g/t gold. Paulinho Troca-Tiro - a series of recently identified but poorly defined NW trending structures in eastern part of district. Of 17 grab samples recently collected on surface, 9 returned values ranging from 9.0 to 46.1 g/t gold. Casa Branca - located 8km south-west of Papagaio. Of 33 grab samples collected on surface, 6 returned values ranging from 6.7 to 34.8g/t gold. Joao Fidelis - located approximately 2km south of Casa Branca. Of 13 grab samples collected thus far, 5 returned gold values of 7.1 to 43.1g/t gold. Michael Bennett Altamira Gold's President and CEO commented "We are extremely pleased to have been granted an additional 42,000 Ha within the Apiacas district, which is one of the largest historic producer of placer gold in the Alta Floresta Belt. 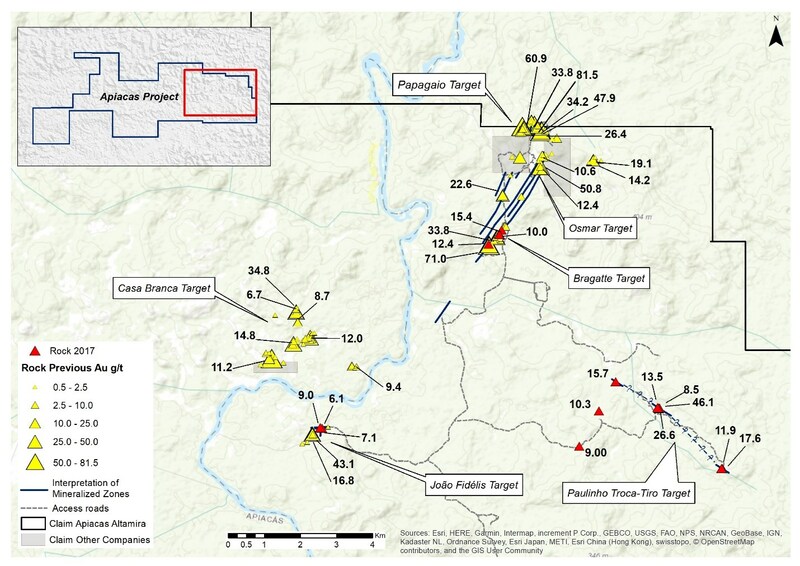 Limited surface sampling to date has already identified a number of high-grade targets, but the recognition of widespread hydrothermal alteration and disseminated pyrite mineralization at Mutum which produced an estimated 90% of the placer gold at Apiacas, also opens up the possibility of a larger body of disseminated mineralization." The Company also announces that it has granted 1,075,000 stock options to directors, officers and employees of the Company. The stock options are exercisable for a term of five years at an exercise price of $0.10 per common share under the terms of the Company's Stock Option Plan. The Company is focused on the exploration and development of gold deposits within western central Brazil. 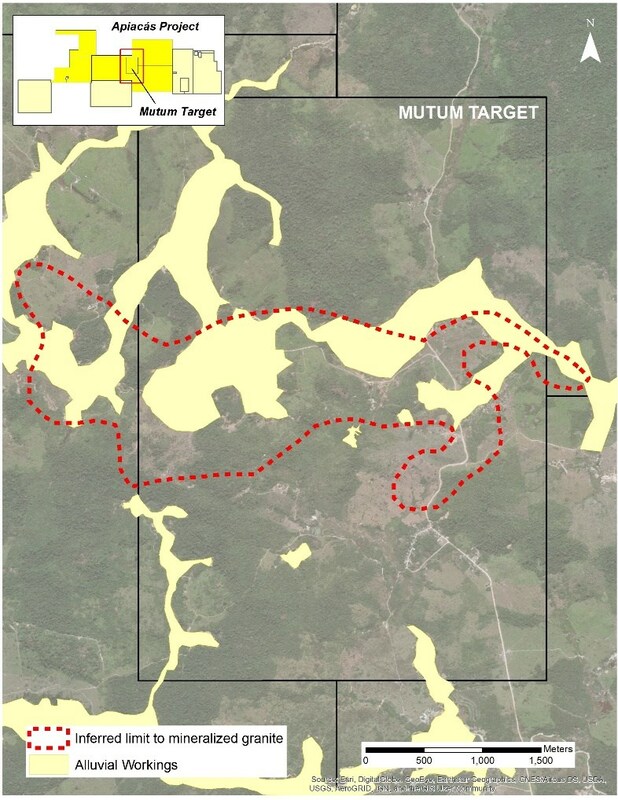 The Company holds 12 projects comprising approximately 300,000 hectares, within the prolific Juruena gold belt which historically produced an estimated 7 to 10Moz of placer gold. 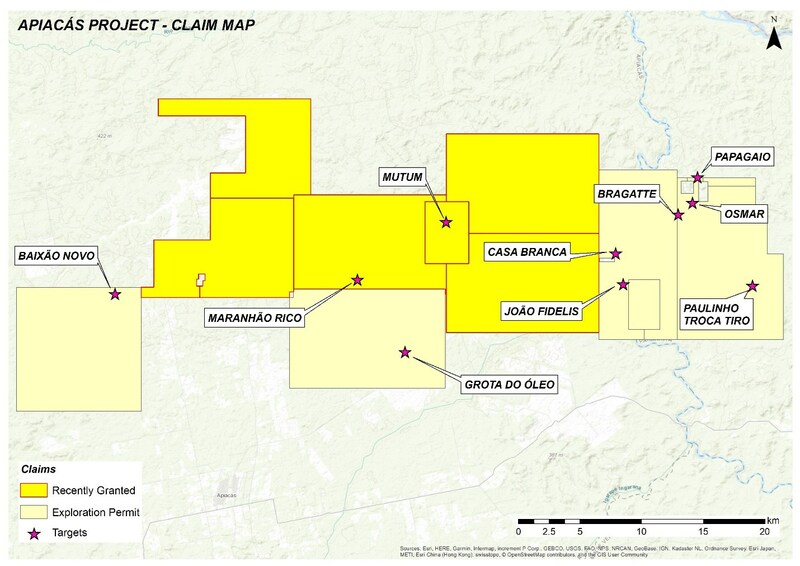 The Company's advanced Cajueiro project has an NI 43-101 compliant resources of 8.64Mt @ 0.78 g/t Au (for 214,000oz) in the Indicated Resource category and 9.53Mt @ 0.66 g/t Au (for 204,000oz) in the Inferred Resource category and an additional 1.37Mt @ 1.61 g/t Au in oxides (for 79,000oz in saprolite) in the Inferred Resource category.